Delicious & Nutritious Part 1 - Breakfast. 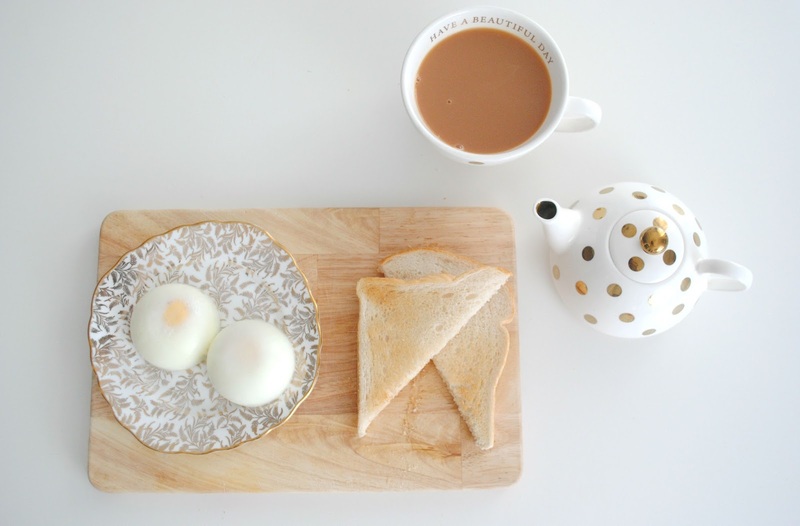 | H A Y L V O G E L.
Delicious & Nutritious Part 1 - Breakfast. January is always the time everyone tends to go on a health kick, throwing the boxes of chocolate and cakes away and replacing the cupboards with kale, almond milk and avocados. I know the story all too well, and I also know how hard it can be trying to beat those pesky cravings. This year I've tried to set my goals a little more realistic so I don't automatically set myself up for failure and have started to make little changes to my diet here and there. I downloaded the app 'My Fitness Pal' and have been eating the amount of food it set out for me each day - the 'healthier' choice often has a lot more calories in could you believe! 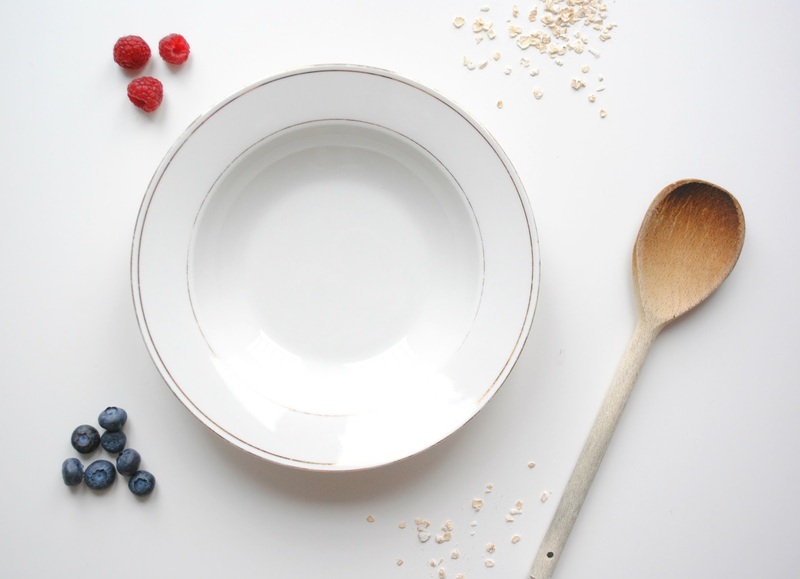 I thought I'd share with you some easy recipes that can replace the full fat fry up with something a little bit better for you... This is the first part to a series of Breakfast, Lunch and Dinner options that I've found easy to make, nutritious but also delicious! This section is all about breakfast, the most important meal of the day. Taaa da! 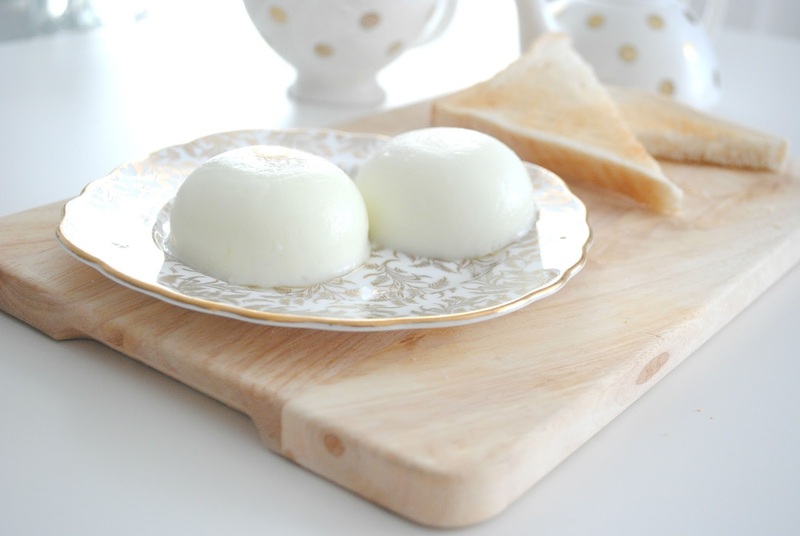 There we have it, a quick and easy breakfast to make and it'll fill you up all morning. For an extra touch I like to add a slice of bacon to give me a little bit extra to eat. 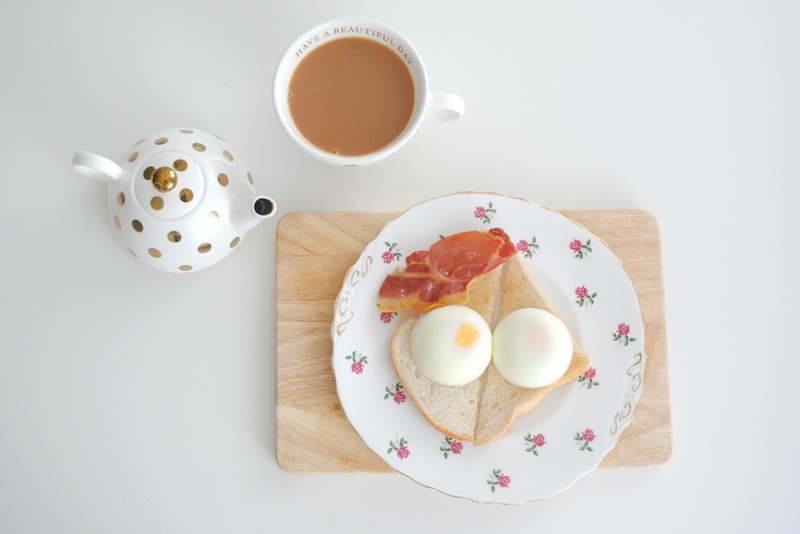 I absolutely love bacon so this breakfast idea is perfect. Homemade Porridge & Fresh Fruit - I love porridge. I find it to be very filling and I like to mix it with fruit to add to the flavour. It's a great source of energy and is really easy to make.. so there's really no excuse why your breakfast can't be healthy as well as delicious. I like to start by getting all my ingredients into one place ready to sprinkle on top of my porridge. I normally use banana and strawberries but today I have fresh raspberries and I'm going to be naughty and add a little dolop of peanut butter. Start with warming a pan on the stove while you measure out your oats, I tend to use a normal sized teacup and fill it up half way if it's just a portion for myself, I would do a full cup if it were for two people. Pour the oats into the pan, and top it up with a 1 and a half cups of water using the same teacup. Just add the water and keep stirring until the porridge comes to the boil and starts to thicken. (Keep it on the heat until it reaches the amount of thickness you like to eat your porridge, some people like it runny.) I like to add a little bit of sugar into the pan so the porridge isn't completely bland. And there we have it. Sprinkle your toppings on top, grab yourself a spoon and get stuck in! 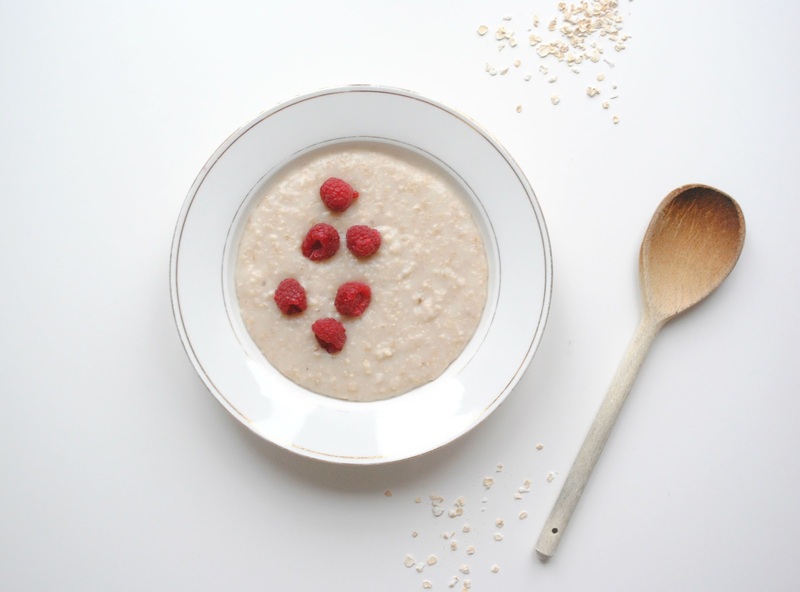 There are so many different options you can have with your porridge so it's a great breakfast to have. Some topping options include honey, sprinkle of sugar, all fruits, yogurt, nuts and seeds. 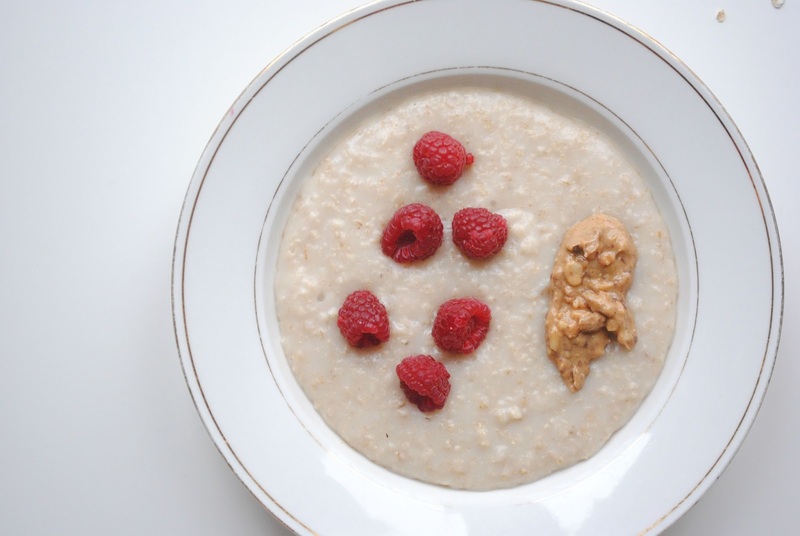 All perfect with porridge and will give you the energy to tackle the day ahead. Fresh Fruit Smoothie - There are so many different combinations that you could use to make a delicious morning smoothie. You can pretty much use everything! This is the perfect quick option if you're wanting breakfast on the go and don't have the time to sit down and eat. You can add whichever fruit you have to hand, add juice/milk and blend it all together. 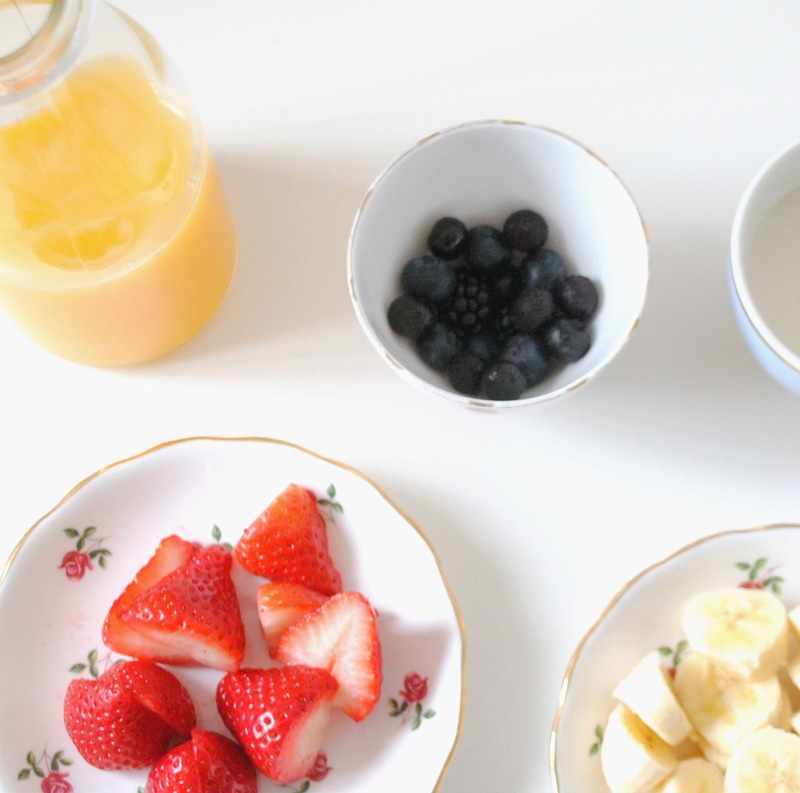 I tend to use banana's, strawberries, blueberries, orange juice and sometimes a little bit of milk. You can also use oats, yogurt, coconut water, apple, spinach and melon to add a little variety to your smoothie. These have been my go to January breakfast's so far and I'm already noticing a difference in how hungry I get. I use to be hungry 24/7 but I've made a good start in controlling my cravings and sticking to having just 3 meals a day rather than a thousand. Let me know what you think, and if you have any breakfast inspiration, I'm in need of some new idea's. Thanks for sharing your healthy breakfast options with us! The pictures are absolutely gorgeous! 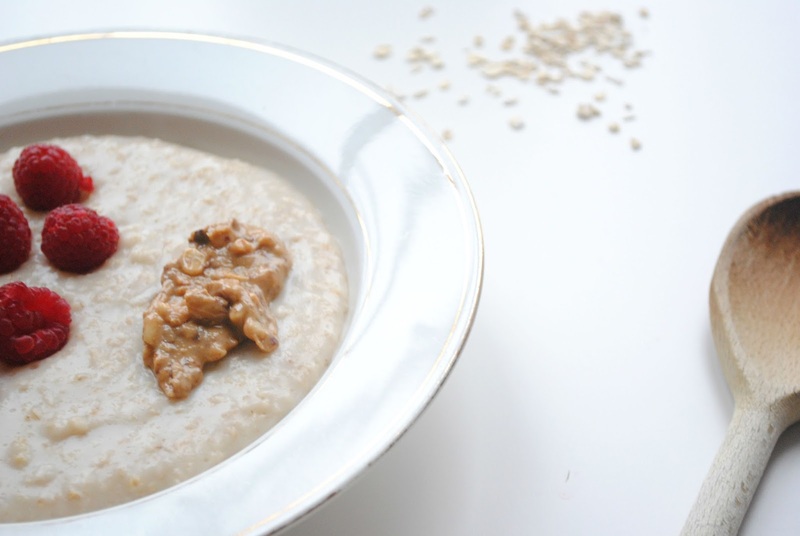 I usually do a variation of porridge for breakfast, but the lazy/fast version that doesn't require cooking. I take oats, chopped apples and sliced bananas and top it with soy or almond milk. One bowl keeps me full all morning, plus it's healthy and completely plant-based :) I highly recommend it! If you want it to come out more like porridge you can use boiling water instead of soy milk or put the whole thing in the microwave before eating. Thank you so much, I've tried to make it a little bit more interesting with the photos! I think porridge is a great idea and it definitely keeps me full. Poached egg on toast is also a firm favourite but I usually have 2 slices of toast to fill me up. 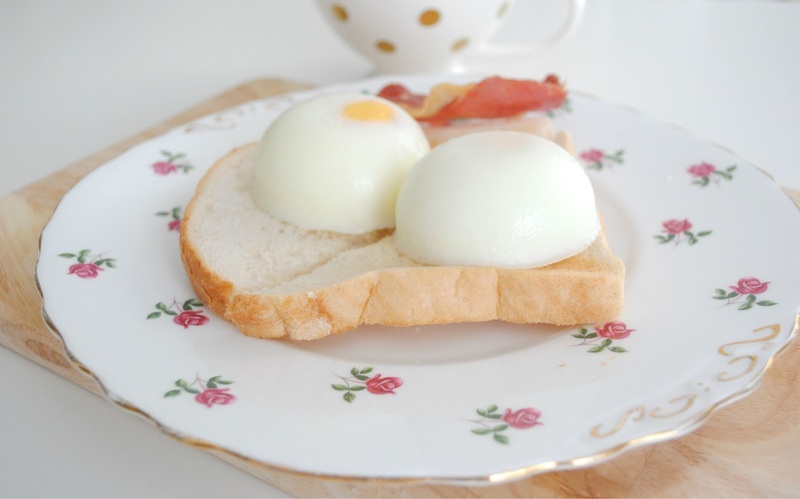 your poached eggs look amazing! Also, myfitnesspal has been a lifesaver these past few months with trying to control my sugar intake!